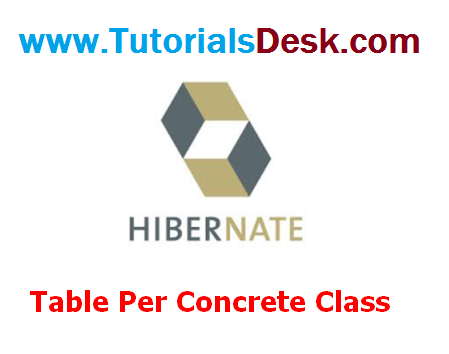 In case of Table Per Concrete class, tables are created per class. So there are no nullable values in the table. Disadvantage of this approach is that duplicate columns are created in the subclass tables. Here, we need to use @Inheritance(strategy = InheritanceType.TABLE_PER_CLASS) annotation in the parent class and @AttributeOverrides annotation in the subclasses. @Inheritance(strategy = InheritanceType.TABLE_PER_CLASS) specifies that we are using table per concrete class strategy. It should be specified in the parent class only. @AttributeOverrides defines that parent class attributes will be overriden in this class. In table structure, parent class table columns will be added in the subclass table.